This KR Royal Flush Double Roller has an outstanding 7 year warranty! 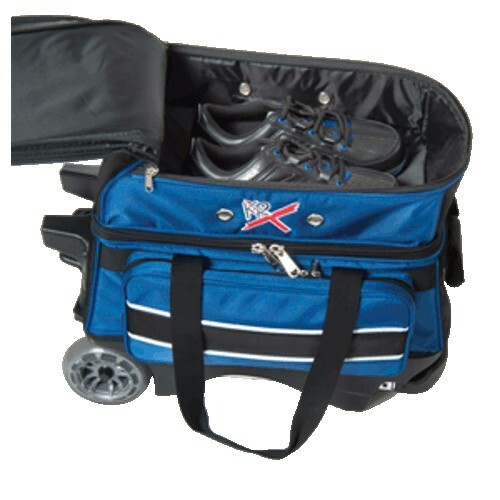 This bag also features retaining straps to secure the bowling balls, a vented shoe compartment, and several accessory pockets. 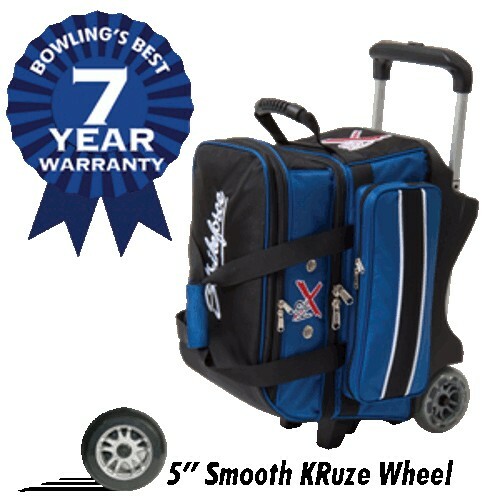 Don't miss out on this durable bowling bag today! 1680D Ballistic fabric - it’s KR Armor! Hi Lee Ann, your warranty was activated whenever you received the bag. If you are needing to have the bag replaced or looked at under warranty you simply need to contact KR Strikeforce and they will be able to assist you. Their number is 1 (800) 297-8555. Hello Lani. Yes we will still cover for warranty if anything happens to the bag. The wheels are a harder form of rubber. If your new bag is damaged due to normal use during the first year, bowling.com will replace your bag free of charge! Manufacturers' warranties typically only cover defects in the bag and do not cover normal wear. With the Platinum Protection Plan, there is no need to wait for a lengthy manufacturer warranty claim. 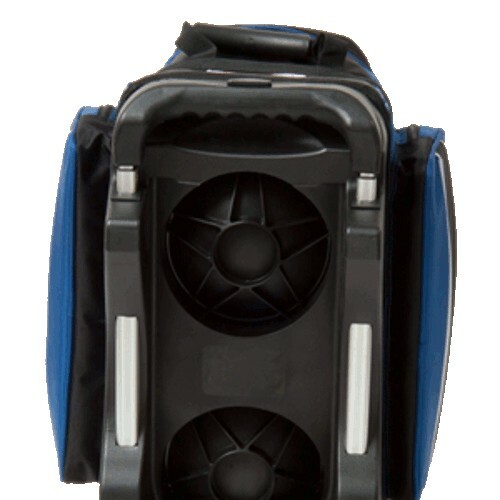 We will immediately replace your bag due to a broken handle, wheel, or zipper. Due to the time it takes to produce the KR Strikeforce Royal Flush Double Roller ball it will ship in immediately. We cannot ship this ball outside the United States.